On having some performance issues with Skype on a fresh install of Windows 7 after some troubleshooting I have found a workaround where I am no longer having any performance issues. 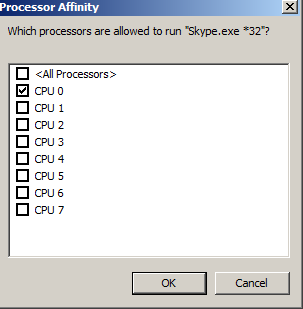 The fix is simply setting the skype.exe processor affinity to use only CPU0. Step 4. Untick all the boxes except for CPU 0.